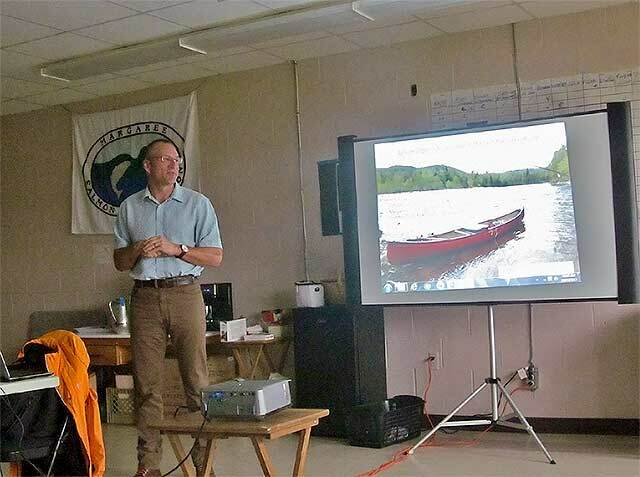 Ron Jenkins, Senior Project Manager, Matrix Solutions Inc.
Ron Jenkins, Senior Project Manager, Matrix Solutions Inc. presents the much-anticipated report, “The Geomorphic Assessment of the Margaree River”, at the MSA offices at Cranton Crossroads Community Centre. The report was well received by those present and will assist the board, going forward, decide possible projects that can be done on the various “reaches’ of the river, and tributaries. ​MSA would like to thank Atlantic Canada Opportunities Agency, (ACOA), for their financial assistance in this project.